Will your children practice with you? If not, don’t worry. 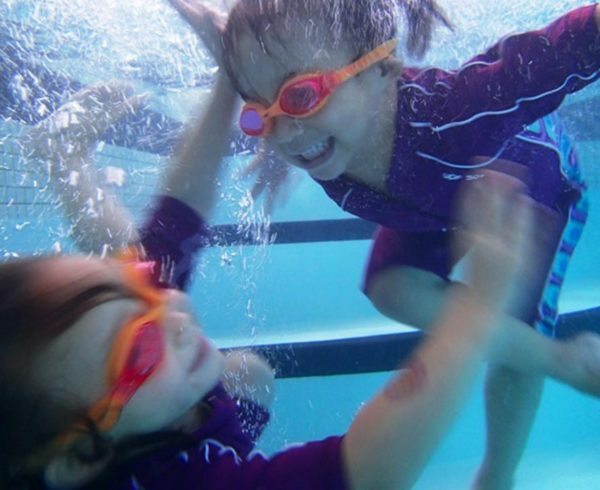 We may have just the trick you need to make swim practice fun! No matter the skill, most parents tell us it is pretty tough to motivate their child to focus outside of class or lesson time. 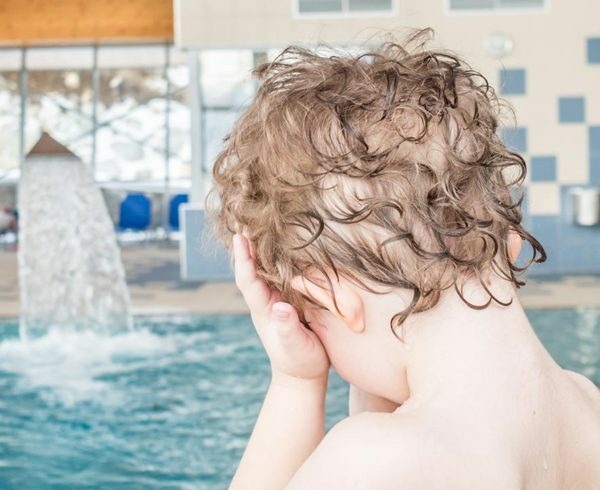 ESPECIALLY if it’s a skill that your child is uncomfortable with – like putting their face in the water! 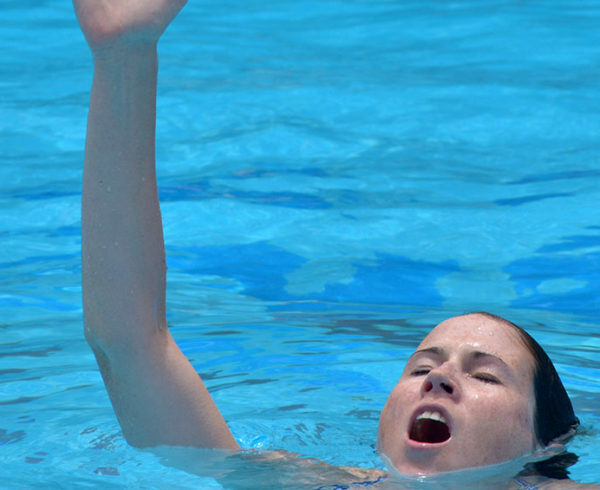 In this blog, we’ll show you three games you can play with your child to practice submerging their face. 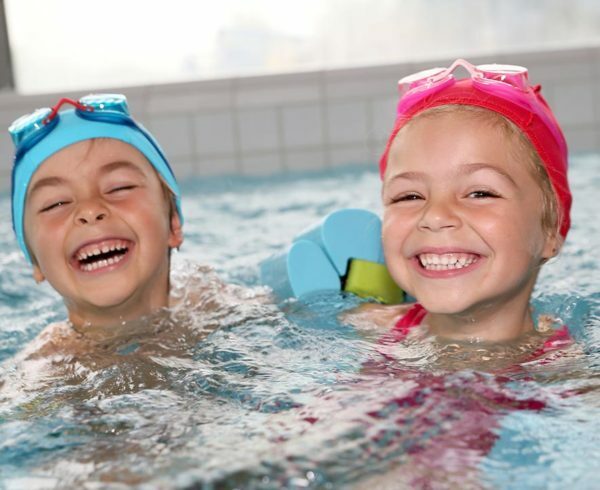 Games are a great way to learn, as they create a fun distraction from all the things that can make swimming scary for kids. We recommend you designate a toy box specifically for your child’s swim toys. This makes them special and keeps the novelty of these toys in tact. Helpful hint: Before you play any of these games, check out The No Tears Guide: Help Your Child Put Their Face In. We also recommend that your child wears goggles, at least when they’re first learning this skill. It takes away some of the mystery, and subsequent discomfort, of putting their face into the water. 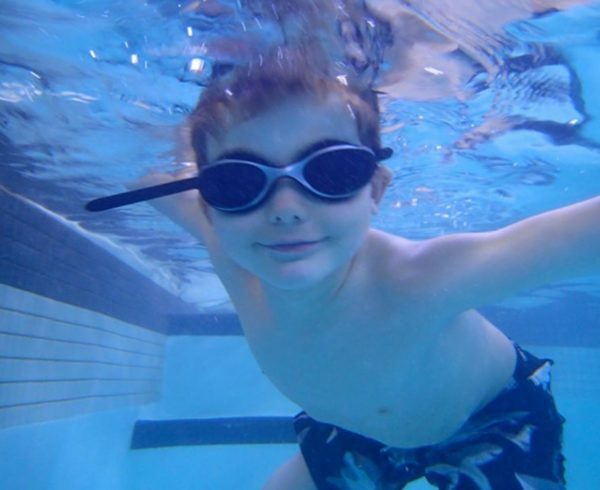 Goggles also reduce the chance of getting stinging pool water in your eyes, which can be another deterrent for a lot of kids to learn to swim. Once your child is a pro at submersion feel free to lose the goggles. 1) How Many Fingers Am I Holding Up? This is a super simple game that you can play anywhere! 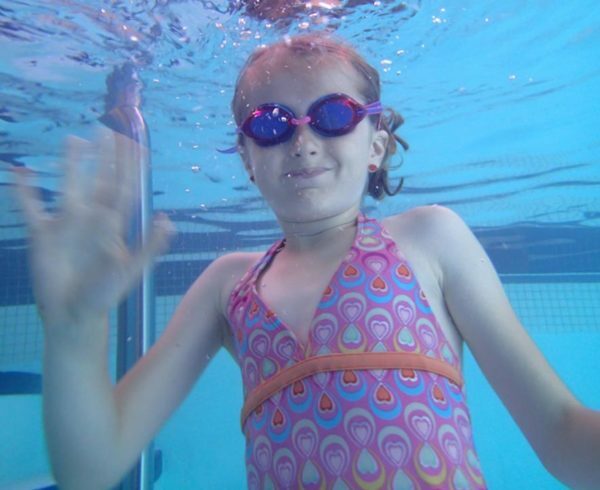 Have your child put their face in the water – they don’t have to go too far, just enough to get their goggles in the water and see clearly. While they’re under, hold up your fingers to indicate a number. Make sure your fingers are deep enough that they can’t peek at them without actually putting their face in. When they come back up, ask them how many fingers you were showing! I know this one sounds pretty simple, but it’s a good beginner game and kids really do get a kick out of being able to tell you what they saw while underwater. For beginners, play this game on the steps. Sink the toy and have your child reach down and ‘rescue’ it! To start, it doesn’t need to be deep enough for them to have to put their face in. Ease them into it by slowly moving the toy to a deeper part of the steps. Stay close and guide them through the water if they need it. This one uses another one of the Aqua Life’s favourite toys: the Toypedo! You can play on the steps or in the shallow end, depending on your child’s comfort and skill level. Back up a few feet from your child. Throw the torpedo towards them, ensuring that the nose and the body of the toy stay underwater. Have your child catch it and return it to you the same way. Alternate between throwing it straight to them or veering just off to the side. This will encourage them to step out of their comfort zone in order to catch the torpedo. Eventually, you can build to missing on purpose so that your child has to dive in order to retrieve it. Stay close by and help them out so they feel safe and supported when they go under to recover their toy. One thing to remember with all of these games – they depend on your creative narration! You know your child best, so these games work best when you tailor them to their imagination. Does your kid love dolphins? Boats? Rocket ships? Make that work for you and them as you motivate them to play and learn. 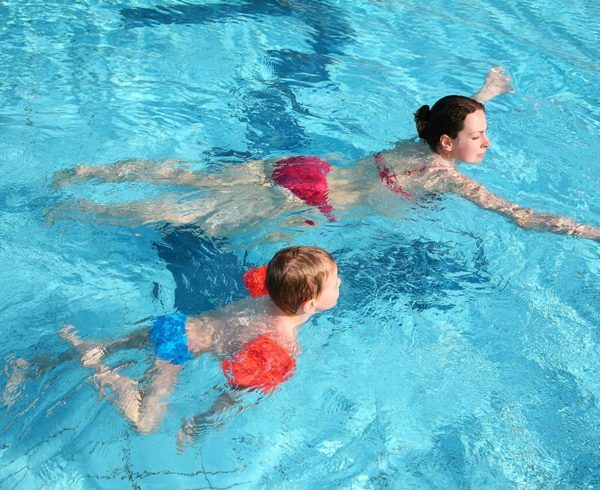 Are there any games you play to help your child practice their swim skills? Or, do you have any favourite swim toys? Let us know in the comments. And, we’d love for you to join us on Facebook and Twitter. Happy swimming!